Wildlife Photographer of the Year is the largest wildlife photography competition in the world. It is an annual international wildlife photography competition owned by the Natural History Museum. 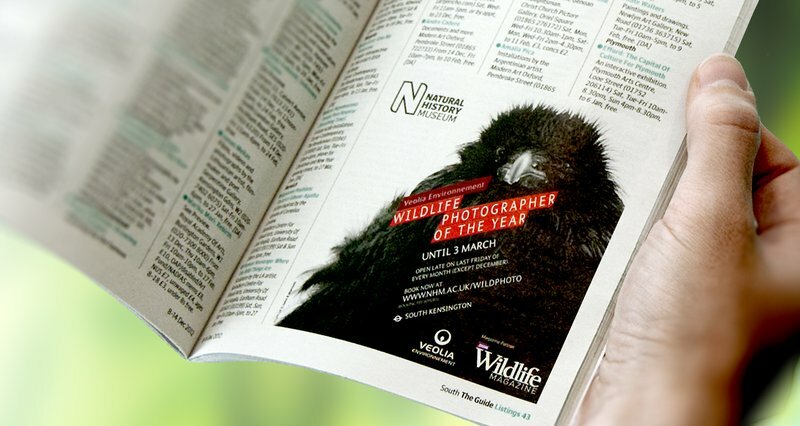 Following the awards ceremony, the extremely high-quality and major Wildlife Photography exhibition opens its gates in London and after that tours worldwide throughout the year, attracting more than 5 million visitors. Our brief was to create a distinctive and dynamic identity that can change colour and adapt to the imagery its surrounded by. It supports marketing campaign that could be applied across all promotional communications and merchandise, maximising the visibility of the competition. Before getting creative, we reviewed the existing identity and talked to stakeholders. 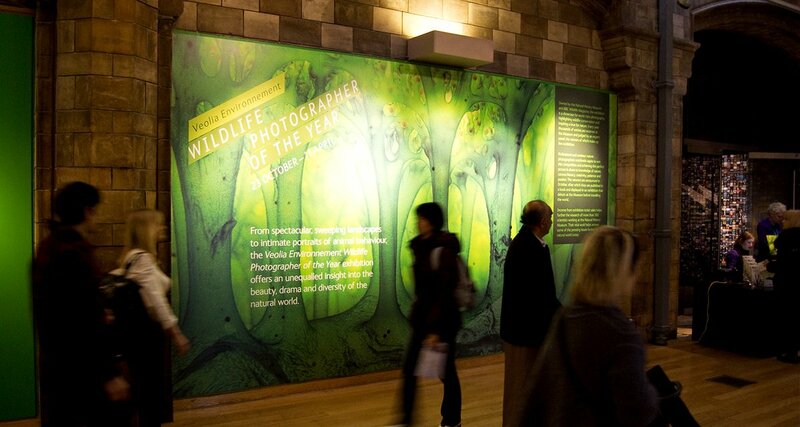 This led to a brand that built on the heritage and reputation of WPY, combining the passion for photography with the visual power of nature and enabling the Natural History Museum to take ownership of the brand. We have created what has become a long standing strong logotype identity that has stood the test of time with its communications reaching almost a billion people annually.